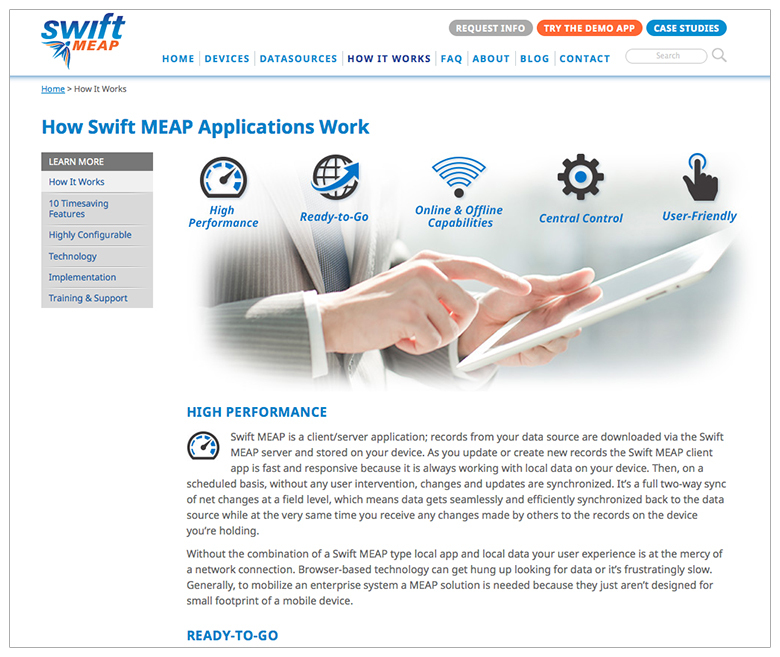 Swift MEAP is a mobile development platform created by iEnterprises to help businesses convert their enterprise software to native apps for their mobile devices, such as iPads, iPhones and Androids. Visible Logic developed the name and logo, before starting on this web site. 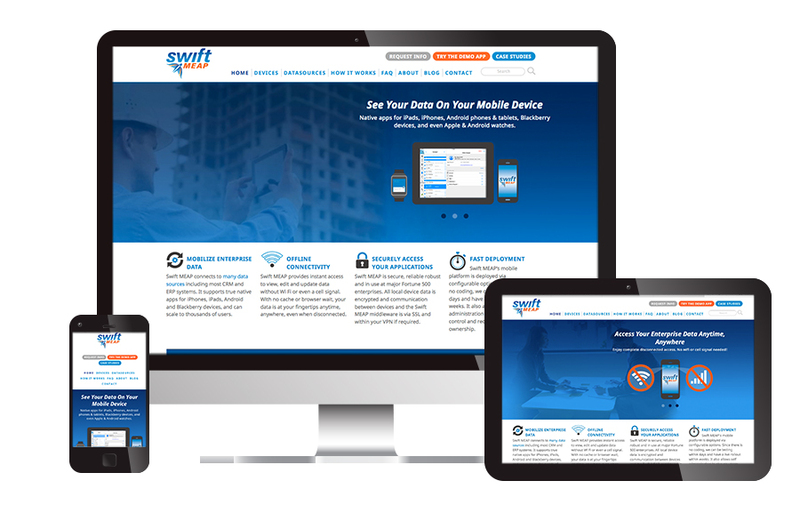 The site needed to quickly show the benefits of their solution, the datasources they could mobilize and the type of mobile devices they work with. 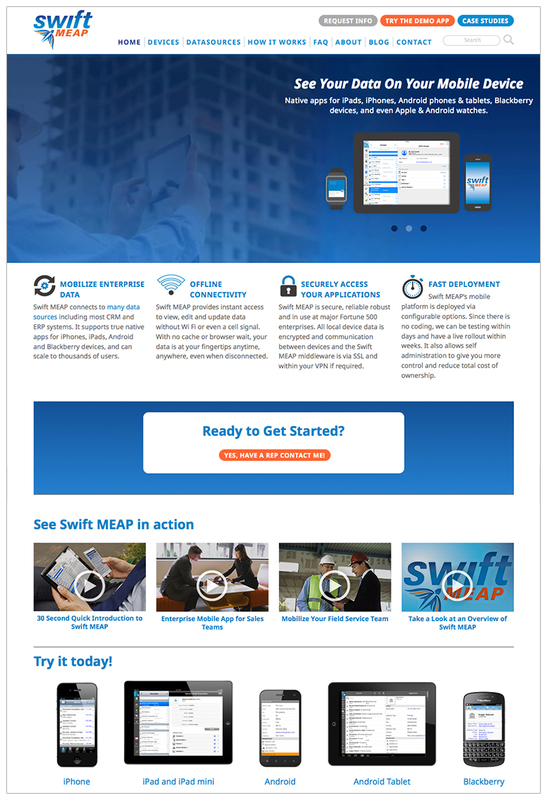 The web site highlights Swift Meap’s benefits and features through video, graphics and text. 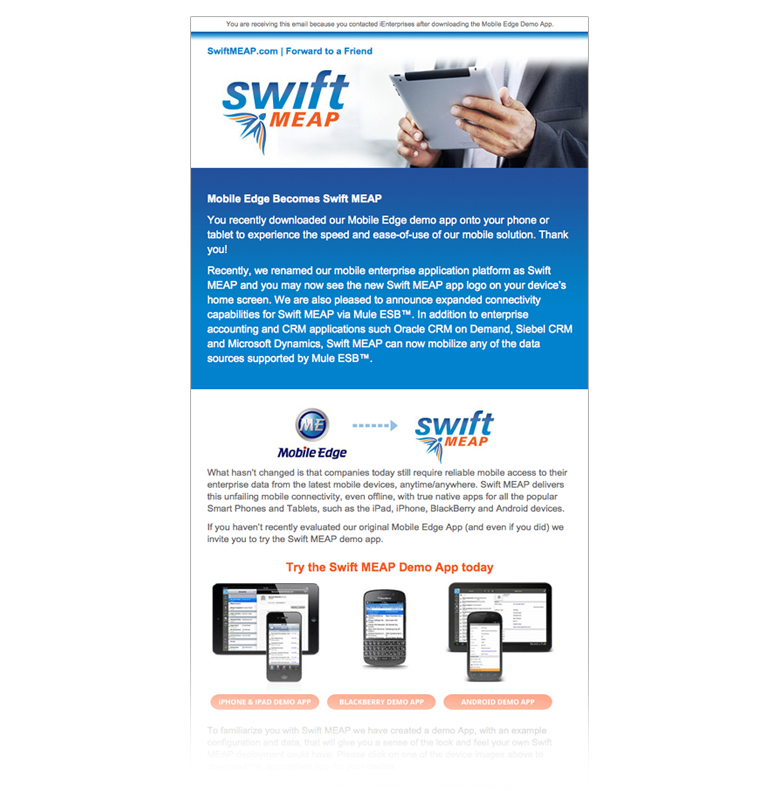 Visible Logic handles all of Swift MEAP’s marketing using a content-based approach and the site is always evolving to drive traffic to new infographics, videos, blogs and feature-release details.